A traditional live casino keno game uses a circular glass enclosure called a "bubble" containing 80 balls which determine the ball draw result. Each ball is imprinted with a number 1 through 80. During the ball draw, a blower pushes air into the bubble and mixes the balls. A "caller" presses a lever opening a tube, where the balls lift one at a time into a "V" shaped tube called the "rabbit ears". The caller and a "verifier" record each of 20 balls drawn, and the computerized keno system calculates all wagers based on the numbers drawn.Players wager by marking an "S" over the "spot" choices on a blank keno ticket form with 80 numbered selection boxes (1 to 80). 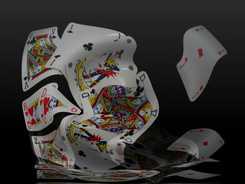 After all players successfully place their wagers, the casino draws 20 balls (numbers) at random. 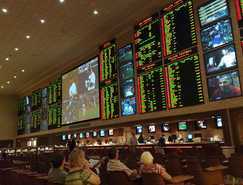 Some casinos automatically call the ball draw at preset timed intervals regardless of whether or not players are waiting to place a wager.Each casino sets its own series of pay scale choices called "paytables". The player is paid based on how many numbers drawn match the numbers selected on the ticket and according to the paytable selected with regard to the wager amount. 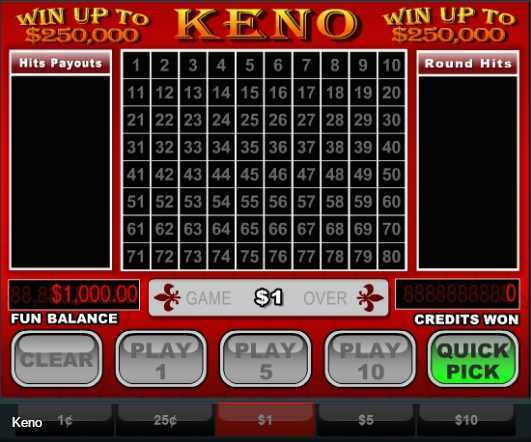 Players will find a wide variation of keno paytables from casino to casino and a large deviation in the house edge set for each of those paytables. Additionally, each casino typically offers many different paytables and specialty keno bets for customers to choose from, each with its own unique house edge. No two casinos' keno paytables are identical. 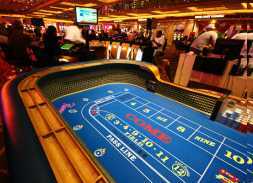 There are several Reno and Las Vegas casinos offering as many as 20 or 30 different paytables from which the player can choose.